This model is designed with the competitive surfer in mind. Features more moderate overall dimensions than the regular Wavewalker. A nose concave blending into a light roll through the centre. The tail third features a double barrel concaved vee with a rounded square tail. 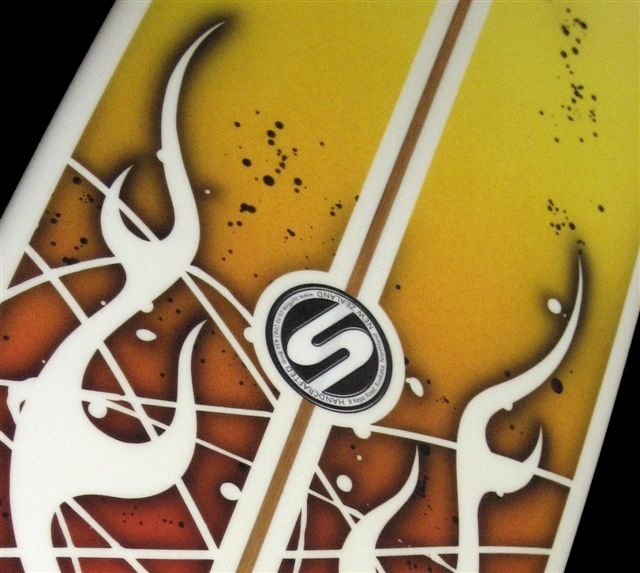 Designed for off the tail surfing punctuated with quick trips to the nose. Width: 22" – 22 ¾"
The X Type was developed by working with multiple South Island and National title holder Glen Shuker and has been adopted as board of choice by many South Island contest veterans.